I was at a friend's party over the weekend and the Joy Drops played a great set. Really enjoyed hearing them. Super talented and really fun to listen and dance to. Upbeat and the music is friendly for all ages. 5 Stars from Danielle S.
The Joy Drops brought a classy and fun vibe to my wedding day ! I can't recommend them enough . The music is top notch and the boys in the band are professional and accomplished musicians . They kept the dance floor jumping! We have the Joy Drops perform at our art and fashion markets as often as they are available. They really know how to create a feel-good vibe and keep our attendees happy and smiling while they shop from local vendors, play with their kids, make new friends, relax on the grass, or dance around. Beautiful music and a highly recommended professional band. 5 Stars from Danielle C.
The Joy Drops did an outstanding job at our company holiday party. Lucas was extremely responsive and accommodating throughout the planning process. The band arrived nice and early and were all set up and ready to go by the start of the party. The music was fun and lively and he checked in during the party to see how it was going (if we wanted it louder/softer, etc.) Everyone at the party really thought it added to the atmosphere and that the music was great. I would definitely book them again for an event in the future. The Joy Drops are AWESOME! I am a Wedding Planner in the area and from the first correspondence with Lucas, I was impressed. He was very professional and happy to make arrangements for my client's wedding. They arrived early and set up in two locations (for pre-ceremony and cocktail hour) without any trouble. 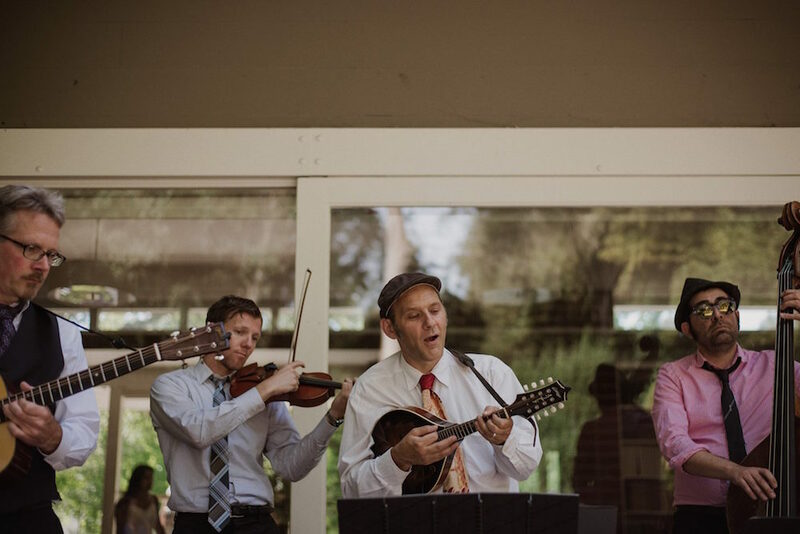 They played wonderful music and set the stage for a vintage Summer garden wedding. We took a bit of extra time to flip the location for dinner and they stayed a bit longer to play a few more songs!! I was so happy to work with them and everyone really seemed to enjoy them - including my clients! I will DEFINITELY continue to recommend them to future clients!! 5 Stars from Jessica H.